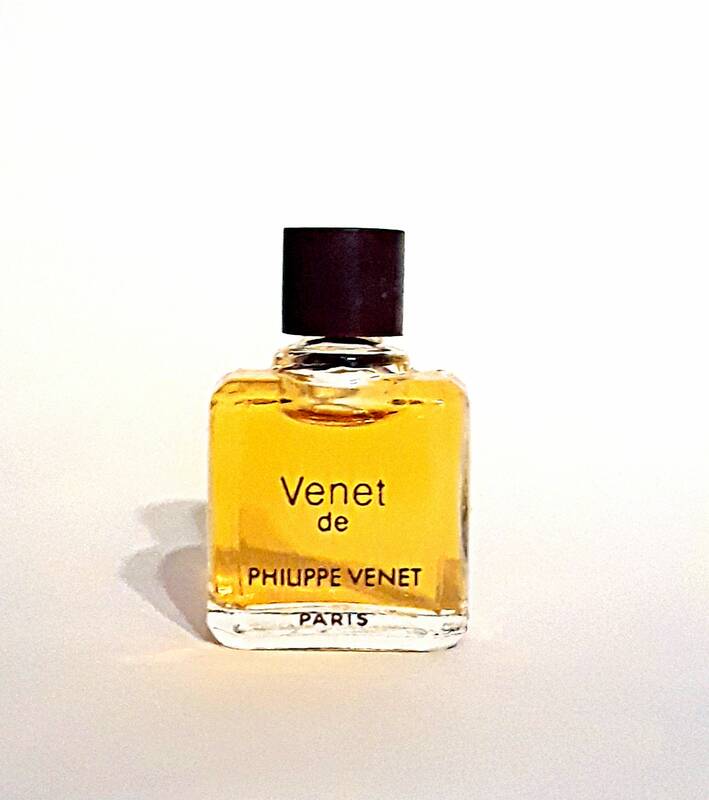 Vintage 1970s Venet by Philippe Venet Micro Mini Miniature Perfume Splash. The bottle stands 1.25" tall. This tiny bottle is full. The perfume is old and no longer fresh. Created in 1965, it is classified as a spicy floral oriental fragrance for women. This fragrance has been discontinued for many years and can be hard to find.